Lime Shark are a four piece rock outfit with a progressive edge, based in South Lincolnshire and consist of ex Canis Major guitarist and founder member Tony Bodimead on vocals and guitar, Paul ‘Wizbat’ Watson on bass and vocals, Jamie Peters on guitar and vocals and Gary Wise on drums. 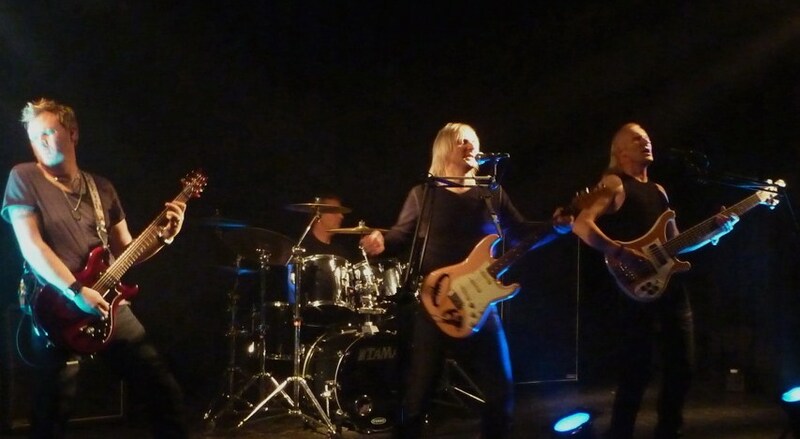 The band has been in existence for seven years and has supported the likes of Wishbone Ash, Waysted (Pete Way ex-UFO) and Tokyo Dragons to name but a few. The band have performed at various open air festivals as well as theatre, club and pub gigs all around the UK. Lime Shark are also establishing fans in Brazil, Germany, Italy and the USA, where their music and videos are creating a lot of interest. Their debut album 'The Money Clock' got a 7 out of 10 review by Geoff Barton in Classic Rock magazine... In February 2010 the band were featured in the Classic' PROG' Rock magazine, with the track ‘Not Quite Nashville’ taken from 'The Money Clock' album featured on the included compilation CD. Aside from that and through the powers of the World Wide Web they are also establishing fans in Brazil, Germany, Austria, Belgium and the USA, where their music and videos are creating a lot of interest…They also have a fan base in Italy and Australia. * Your song 'Stygian' has just been added to eYe station! * Your song 'Stygian' has just been added to A.I.R station! * Your song 'Stygian' has just been added to KIAC Hitline station! * Your song 'Not Quite Nashville' has just been added to A.I.R station! * Your song 'Not Quite Nashville' has just been added to New Discoveries Sampler station! * Your song 'Not Quite Nashville' has just been added to KIAC Hitline station! * Your song 'Not Quite Nashville' has just been added to Black Label station! Lime Shark are currently filming for their new video to accompany their recently penned track 'Volatile'... special thanks to Kayleigh Allen for her cameo role! The band will also be filming some performance footage for the song this week... Watch this space! Here is a review of 'Stygian' by Adrian Jones featured on his Harmonic Lizard website (www.harmoniclizard.com). Click here to read the review!